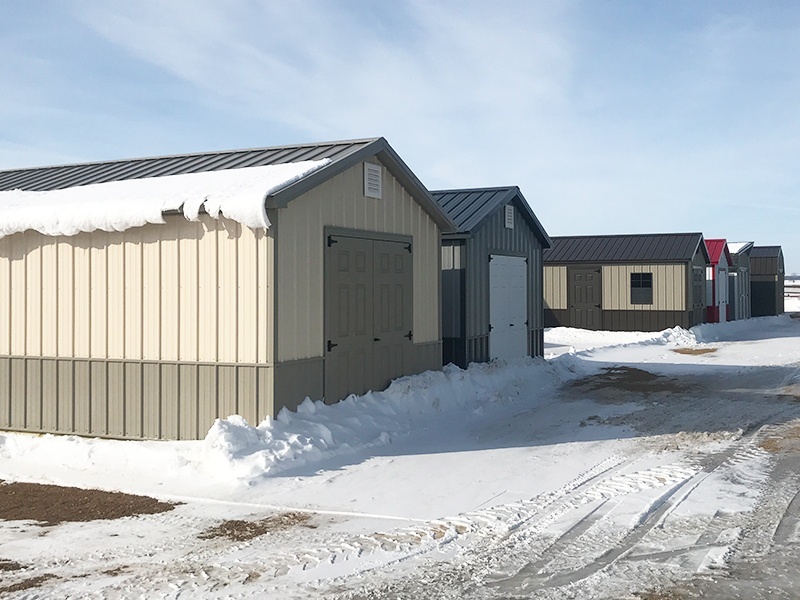 Our Watertown, South Dakota shed display lot is located on a dirt path right next to NAPA Auto Parts Farnam's Genuine Parts and Taco John's off of Route 212. The lot is across the street from Technicolor Screen Printing on 9th Avenue. 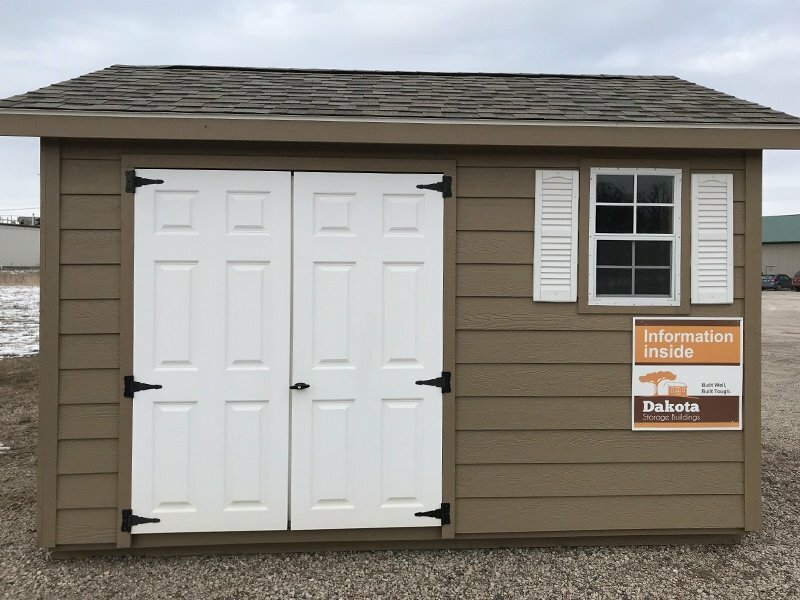 The Watertown lot usually has 5-7 sheds on display, with an information shed stocked with catalogs and info on how to order. The sheds are completely open for you to poke around in and investigate. Since this display is unattended, please call 605-432-8470 if you have questions or if you would like to set up an appointment to meet with a sales representative. 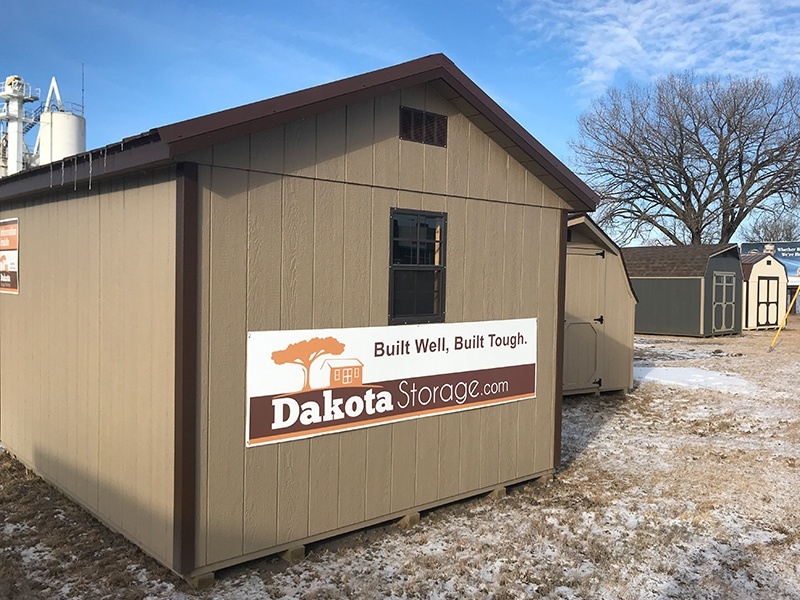 Check out your view of the storage shed lot for an idea of how to find our Watertown location. Watertown, South Dakota is the fifth largest city in the state. Fun fact: Watertown is home to the Redlin Art Center which houses many of the original art works produced by Terry Redlin, one of America's most popular wildlife artists. The city has a number of attractions for visitors or locals alike as well. For some interesting facts about Watertown, SD, check out this culture guide. Call 605-432-8470 to find out more details about our discounted products!